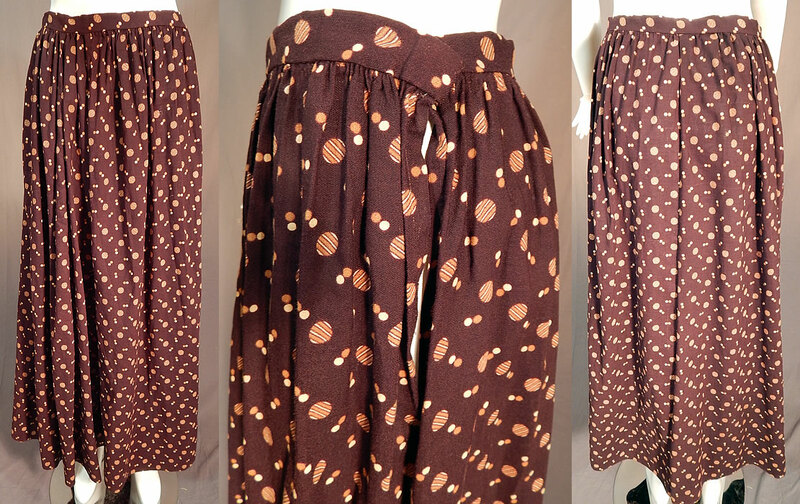 This antique Victorian era brown circle polka dot print fine wool winter petticoat skirt dates from 1890. 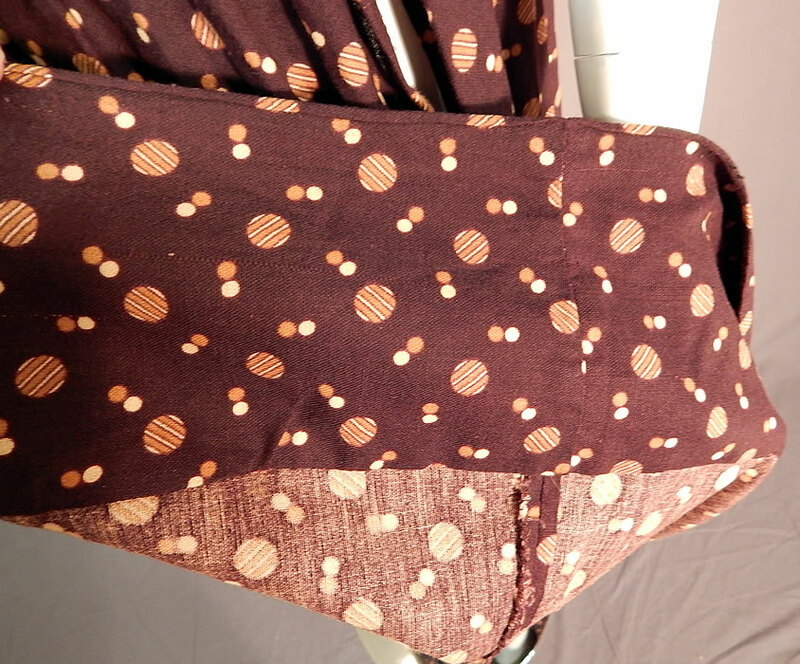 It is made of a dark brown color fine wool fabric, with a reddish brown and off white striped ball circle polka dot print pattern design. 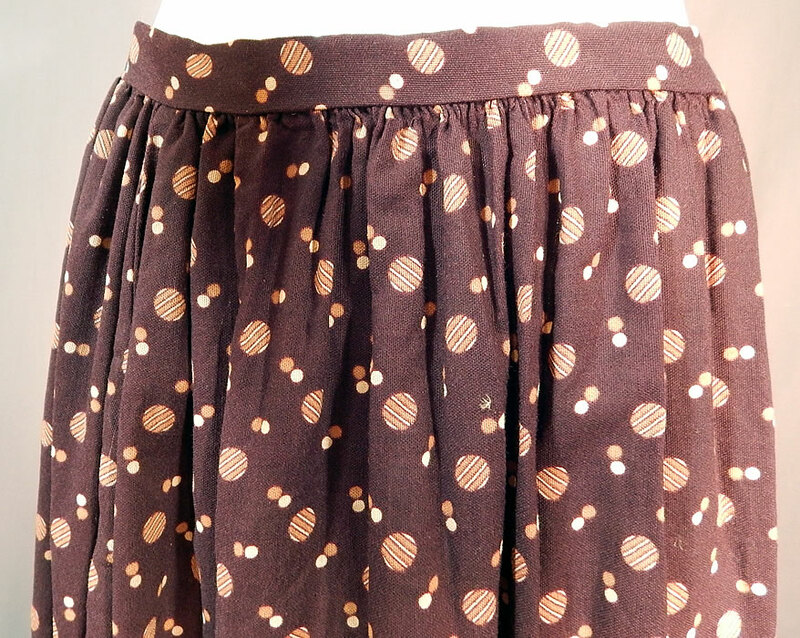 This wonderful winter petticoat skirt has a long floor length maxi style, with pleated gathers around the fitted waistband, a side opening hook closure and is unlined. 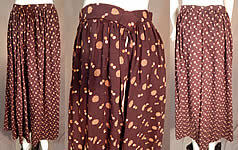 The skirt measures 39 inches long, with a 28 inch waist and has a large hem which can be let out to be made longer (see close-up). It is in excellent condition. This is truly a wonderful piece of antique Victoriana wearable art!